Meteorites have been found pretty much all over the world. With modern civilization likely to have disturbed most landing sites, meteorites are most likely found today in remote, barren areas like deserts. The majority of meteorites have been discovered in what remains the largest uninhabited, undisturbed part of the world —Antarctica. Barringer Crater in north central Arizona is almost a mile across and sixty stories deep. 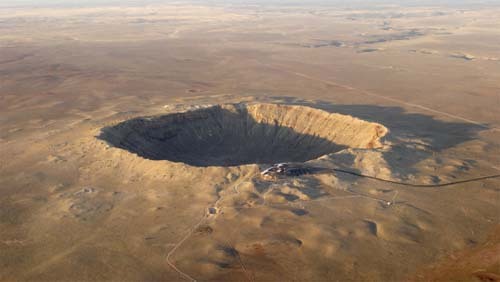 Sometimes simply called Meteor Crater, it offers clear evidence of a meteorite impact.